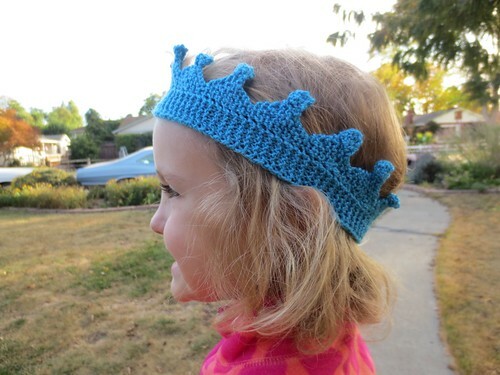 Originally, I knit a crown and it was so much fun, that I set out to improve it. It needed to be more royal. Here I give you the much improved Royal Crown. 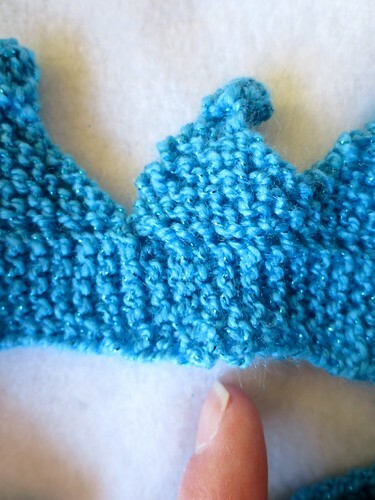 This is a great pattern to stretch the new knitter, because it is small and works up fast. 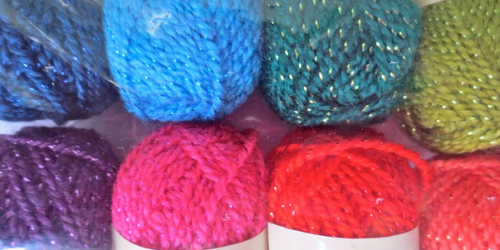 It is knit flat and seamed together. The gauge is hard to measure on this. It is roughly 7 st/inch. The “real” measurement in this crown is One Point. For me, that measurement is 1.25″ per point, flat and not stretched at all. 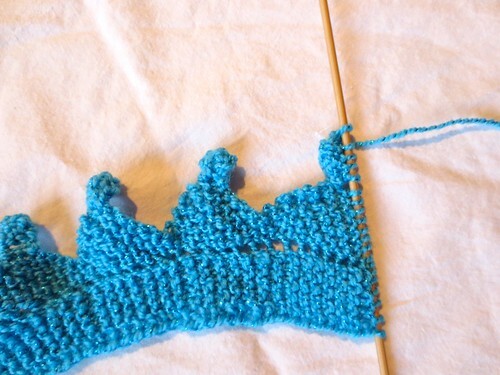 You are knitting the crown in one long piece which you will seam together. 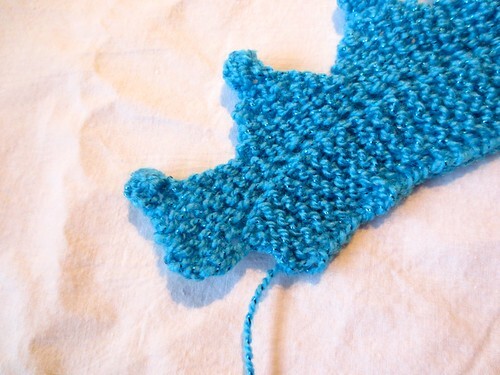 So, odd side rows are when you knitting from the forehead towards the point. On even rows, you are knitting from the point down to the forehead. Repeat these 12 rows until you have formed enough points to fit around your intended head. On the last repeat, do not do row 12 as above, but follow the instructions below. Those three extra rows form a piece that will jigsaw nicely into that turned piece that forms at the beginning of the work. 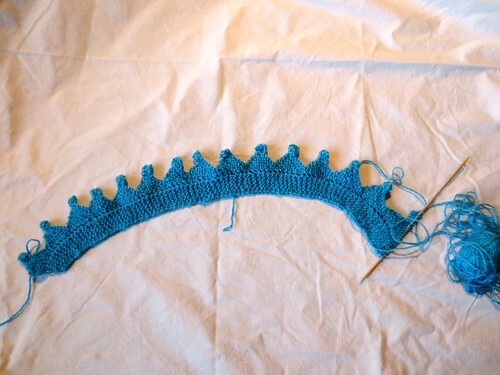 This is where the last three rows join, and then, the seam is finished. Row 5: s1, s1(2), s1 (3), pass 2nd stitch over the 3rd stitch, s1, pass the 3rd over the 4th. S1. Pass the 4th over the 5th. now, with the first and last stitch on the needle, slip the first over the last. The last stitch will stay on the needle. Continue on, following the directions for row 12. Do not duplicate for distribution, repost, sell or teach this pattern without permission. You may repost a picture from it with a link to this post. 5 years ago by Susi in Knitting , Knitting Projects , Needlecraft , Projects | You can follow any responses to this entry through the RSS feed. You can leave a response, or trackback from your own site. perfect! I guess now I know what i will making for niobe’s birthday which is coming in two weeks. I wonder if I would make three so that her friends could have one, too? What fun! Thank you for this adorable pattern! 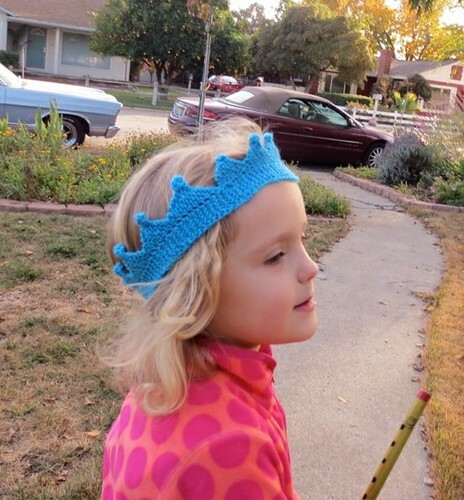 I gave a crown from the dollar store to the granddaughter of a friend when I gave a knitted item to her new baby sister a few years ago. The crown was a big hit but didn’t last long. This will be perfect as it won’t break and I can add sequins and other baubles. This is so cute!!! 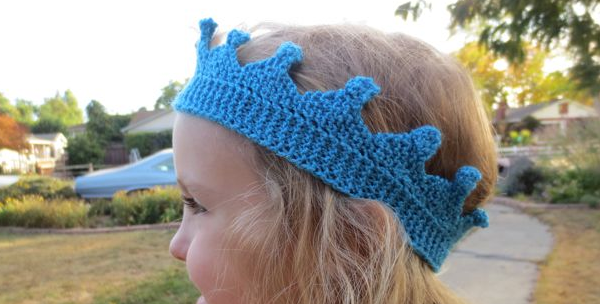 We call my sister the “Queen” so am going to try to extend this for an adult size crown for her birthday. Thank you so much for sharing this! I think I’ll add a bead to the yarn over stitch, some bling would be fun!